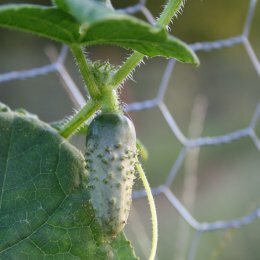 A Spring and Summer vegetable selection, offered from April (last frost is usually about April 10), through spring includes more than 20 varieties of tomatoes, as well as popular varieties of pepper, squash, cucumbers and eggplant. 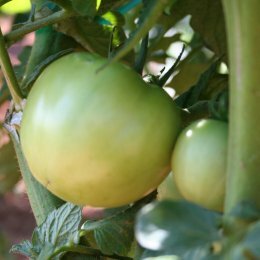 We grow the heirloom (old varieties) of tomatoes as well as the latest disease-resistant hybrids. Look for our grafted tomatoes, as well. 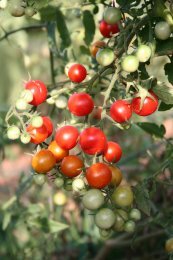 These heirlooms have been grafted onto a vigorus root stock to increase production and vigor. We grow really hot peppers, like Ghost pepper and Thai dragon, and the mild chilies like ancho and poblano. 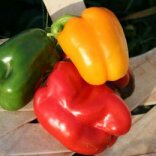 Sweet peppers grown include pimento, sweet banana, and all the bells, like green, golden, red, and purple. 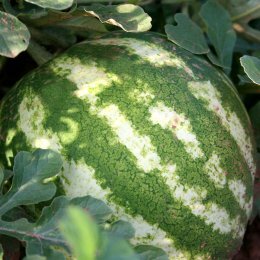 We also offer cool-season vegetables, such as lettuce, greens, cabbage and kale. Expect to plant these February-March and again September-October.